Bite Beauty is a new line of lip color products that are designed for the woman whose not afraid to have her lips the focus of attention! 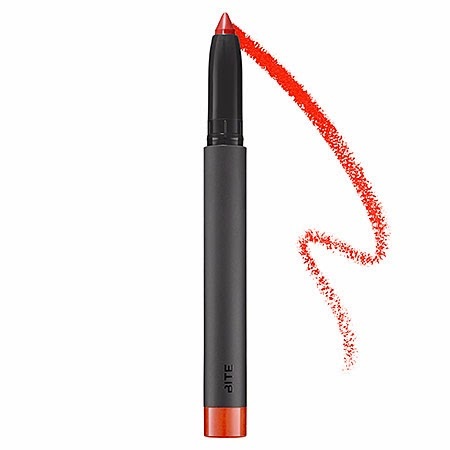 And if you've been reading online or magazine beauty trends, you know it's now all about the ORANGE statement lip this season. So if you're ready to take the plunge with an orange shade, is your shade. Clementine is a rich, straight forward deep orange shade that I loved using. The pigment was plentiful and long lasting. The formula was also creamy enough that it did indeed give me a matte finish that still left my lips soft and hydrated all day. Also unique was the scent - a very light, yet noticeable orange/vanilla (similar to a creamcicle), scent that I loved. *This product was provided courtesy of Bite Beauty PR for reviewing purposes.